Our Gorilla Post delineators have a mounting base with six Rare Earth Neodymium Magnets with a pulling power of 380 psi vertical lift. The base also has a 360 swivel that springs back into an upright position even after a 15 m.p.h. impact. 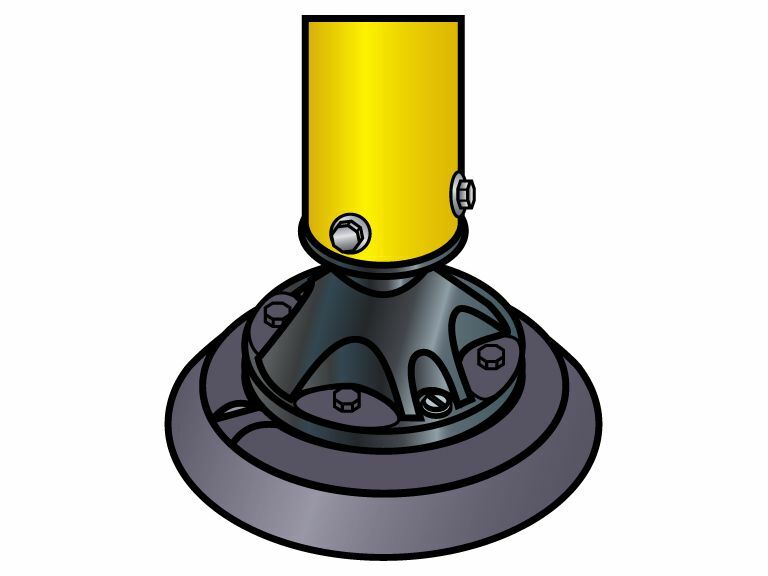 the Gorilla Post delineators represent a standard but effective unit made of durable polyethylene plastic that is resistant to ultraviolet light, ozone and hydrocarbons. The Gorilla Post can be used with 12-inch-wide x 18-inch-long aluminum or plastic signs and can also be drilled for front mounted signs. The unit measures 48 inches tall with a 2 1/3 inch tube diameter mounted upon powerful magnets. With the Gorilla Post System, you won’t lose your ability to “hood the meter” and temporarily reserve individual parking spaces around your multi-space meters. The portable Gorilla Post delineators are simple to implement and maintain temporary and flexible pedestrian and traffic patterns.